Now that you have added new relatives to FamilySearch Family Tree, attached sources, and ensured there are no duplicates, you are ready to reserve temple ordinances. The temple ordinance tab in a person profile allows you to do this. Go to the person page of the relative whose work you want to reserve. Click “Ordinances.” There you will see a list of the ordinances that need to be completed. If there is enough information about your relative, the temple icons will be green and say “Request.” Click “Request” and select which ordinances you would like to reserve. You may also request ordinances from the landscape, portrait, and descendancy family tree view, or from the person card in the fan chart view. Do you see the green SS box in Charles Leslie Shults’ person card below? Click that will take you to the Ordinances tab on his profile page where you can click “Request” to reserve the ordinance. “Temple ordinances are sacred and should be treated with respect. Please reserve ordinances for individuals only if you are related to them. -Direct-line ancestors (parents, grandparents, great-grandparents, and so on, and their families). -Biological, adoptive, and foster family lines connected to your family. -Collateral family lines (uncles, aunts, cousins, and their families). -Possible ancestors, meaning individuals who have a probable family relationship that cannot be verified because the records are inadequate, such as those who have the same last name and resided in the same small geographic area as your known ancestors. -Those gathered from unapproved extraction projects. -Jewish Holocaust victims. Members can do the ordinances for these people only under the following conditions: They are an immediate family member of the deceased (defined as parents, spouse, children or siblings); Or they have permission of all living immediate family members; Or they have the permission of the closest living relative if no immediate family members are living. To do ordinances for a deceased person who was born in the last 110 years, the following requirements must be met. -The person must have been deceased for at least one year. -You must either be one of the closest living relatives, or you must obtain permission from one of the closest living relatives. If you are not a spouse, child, parent, or sibling of the deceased, please obtain permission from one of the closest living relatives before doing the ordinances. The closest living relatives are an undivorced spouse (the spouse to whom the individual was married when he or she died), an adult child, a parent, or a brother or sister. Applying the guidelines can sometimes be tricky. Can you do temple work for your 4th great uncle’s wife? What about his wife’s parents? Watch the video below for an example of applying these guidelines to discoveries made in my research project about Pearce Bradley. FamilySearch recommends that you only reserve as many temple ordinances as you can complete within two years. After that time, the ordinances may be unreserved for other users to request. 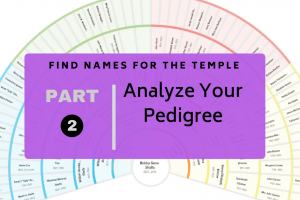 When you are ready to go to the temple and perform the ordinances for your relatives, there are two ways to print the names you have reserved. You can print a Family Ordinance Request to take to the temple office. They will take the request, print the cards, and cut them for you at the temple. The other option is to print the temple cards yourself. All you need is plain white paper. 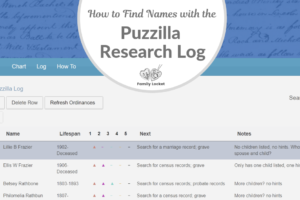 Go to the “Temple” Tab of FamilySearch to see the list of names you have reserved. Check the boxes next to the names you would like to print. Choose which ordinances you want to do, then click print. A PDF will be generated which you can print or save for later. Print the cards on white paper, then cut them out. If you would like to share temple ordinances with someone else, go to the temple tab, check the box next to the relatives you would like to share, and click “share” at the top. You can choose between sharing with the temple or sharing with family or friends. To share with family or friends, you must enter their name and their email address. They will receive a notification from FamilySearch that they have received a name for the temple from you. They will be prompted to click the link and accept the name. It will then be added to their FamilySearch account and appear in their temple list and they can print the ordinance cards themselves. 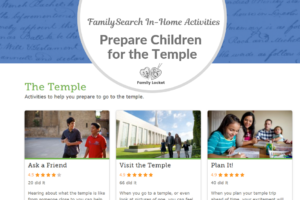 “Who You Can Do Work For,” policies for temple Work, notice online, FamilySearch Family Tree (www.familysearch.org : accessed 28 June 2018).